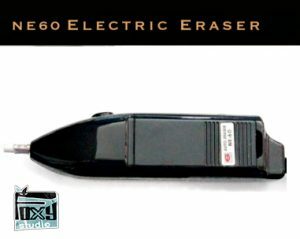 Electric eraser NE60, the ultimate tool for the erasing techniques! Perfect for details and highlighting, very easy to remove any trace of paint. Works with 2 AA batteries (not included). 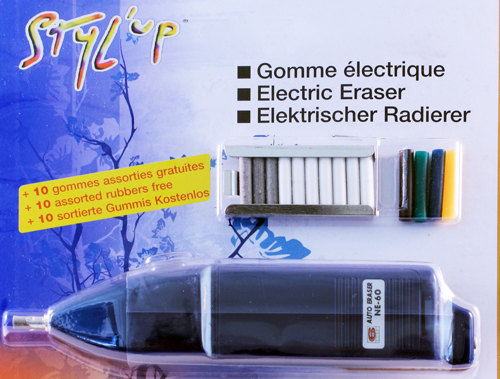 Best known for its strong erasing capability and durability, this pocket-sized eraser glides across the paper. 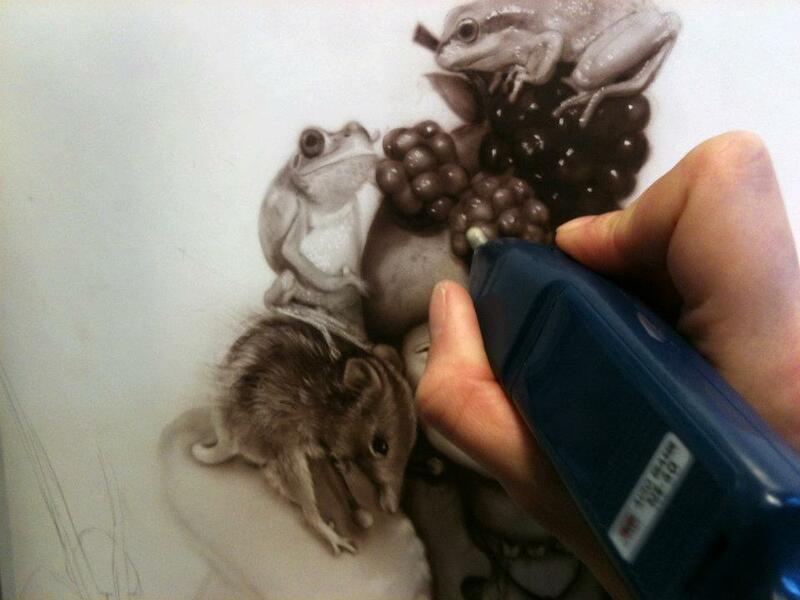 Countless airbrush artists, professional illustrators, animators and architects rely on the electric eraser for fine details works and retouches. The rotative motion allow the artist to remove very easy little part of paint with great precision. This electric eraser removes paint and ink in no time from any hard surface. You can switch the soft tip for a hard tip to remove paint and ink more aggressively. It runs on 2 AA *batteries. Great for adding highlights in waterbased painted artwork!